Recorded Live at Live at Boston Music Hall , Boston, MA , USA - January 30. 1976. Files: 27.:: Size: 683.02 MB (flac). Personnel: Brian May - Roger Taylor - Freddie Mercury - John Deacon. 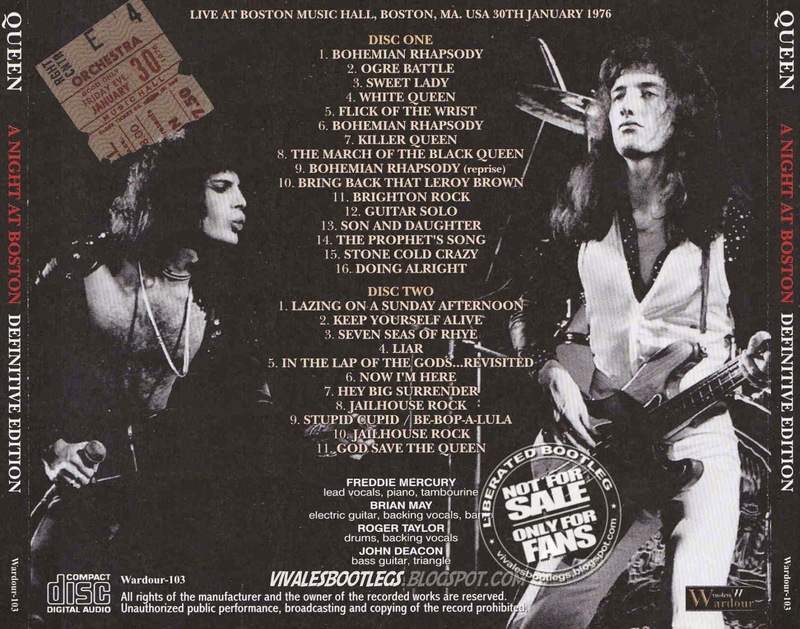 Queen’s January 30th, 1976 concert in Boston was never documented on a circulating tape until recently. The sound quality of this audience recording is excellent and is already legendary. It is perhaps the best sounding Queen tape to surface from the seventies. 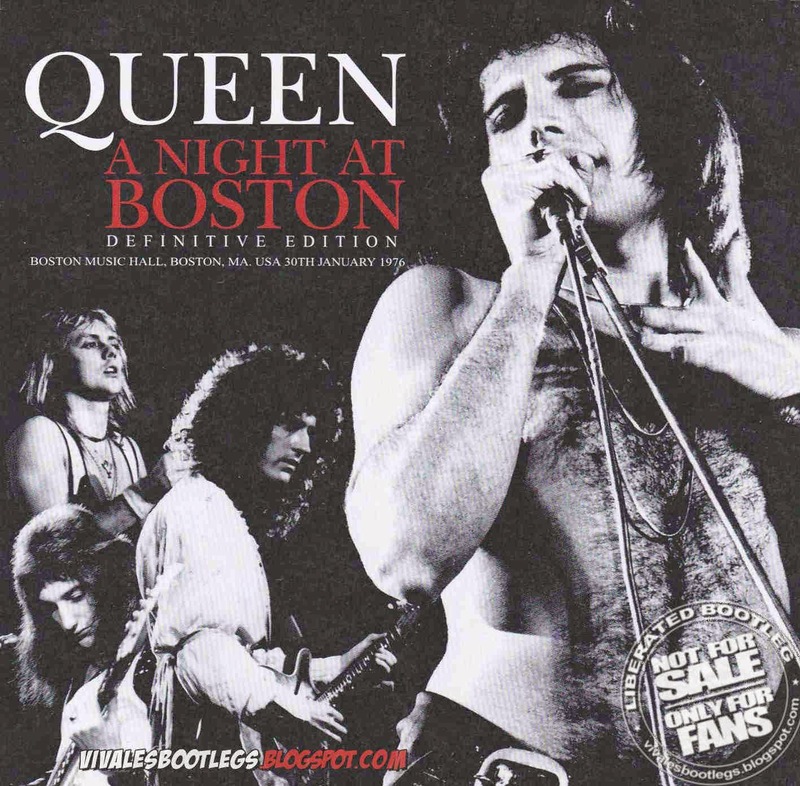 Not only is it clear and well balanced, but captures all of the dynamics and energy of Queen live right when they became a huge act and this can be considered to be the definitive live statement from this era. (info from Collector Music Reviews).